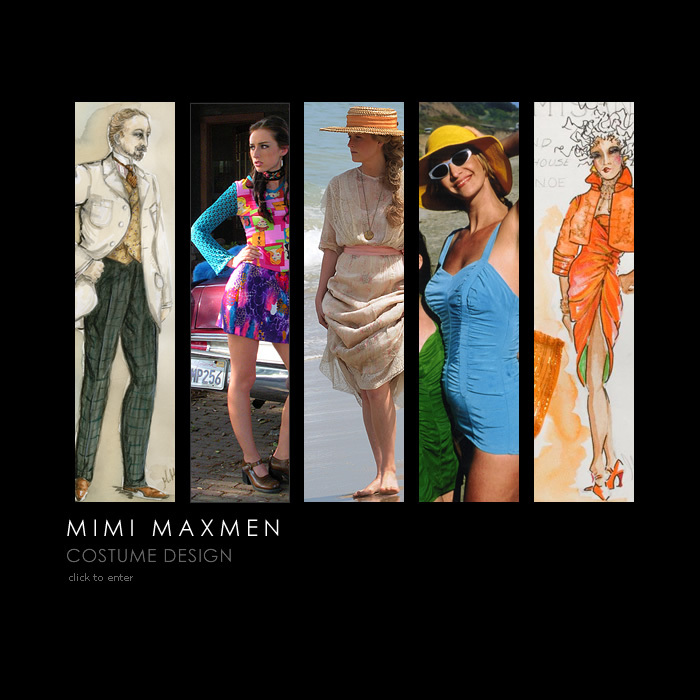 Online portfolio of Mimi Maxmen, New York City based Costume Designer for Film, Theatre, Opera and Ballet. ÊSite includes portfolio, resume and contact information. In this website you will find pictorial examples of the work of Mimi Maxmen as well as contact information.